Gourds belong to the family Cucurbitaceae. This may include cantaloupe, watermelon and different varieties of pumpkin. These cultures are very useful because they are rich in vitamins. That is why gardeners grow these fruits in country areas. So the yield was high, you need to plant melons. 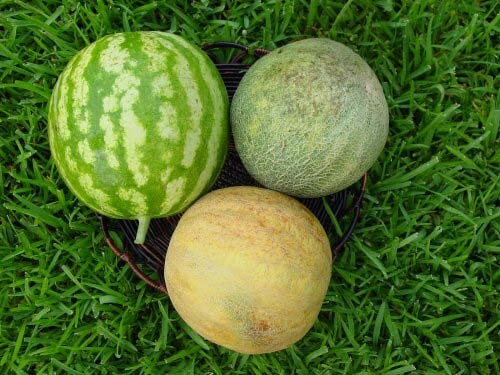 Watermelon loves the sun, so don't plant a culture around trees and shrubs because they make a blackout, and it is highly undesirable for your plants. Also, do not plant melons near some related crops, such as pumpkin, zucchini, and should avoid the neighbourhood of cucumbers. Better put next to corn, herbs (except parsley), spinach. With melon, you can put those same neighbors, and watermelon. And the watermelon and cantaloupe are the perfect complement and with each other. But keep in mind that gourds grow very much. So next door planted those plants that are early. Thus, you will have time to harvest until the moment when the gourds will occupy a large area. As melon and watermelon do not like overly moist soil, do not plant them next to the strawberries. Next to the gourd family of plants you can plant black radish. It allocates volatile, which prevents the appearance of spider mites. Neighbors can become the tomatoes they deter aphids, Sawfly and moth. Pumpkin is very unpretentious. It can be grown directly in the compost heap, these are the conditions for it are ideal. This culture is very late begins to grow, so next you can plant leeks, peas, curly beans or spinach. Highly undesirable planting nearby tomatoes, potatoes and radish, pumpkin can crush crop, and indeed will not grow. Also avoid neighborhood pumpkin with parsley. Gourds do not tolerate wind, so to keep the gusts, put around the plot of corn, beans or peas. As watermelon, melon and pumpkin absorb from the soil a lot of nutrients, try not to plant them near beets, carrots, garlic and radishes. 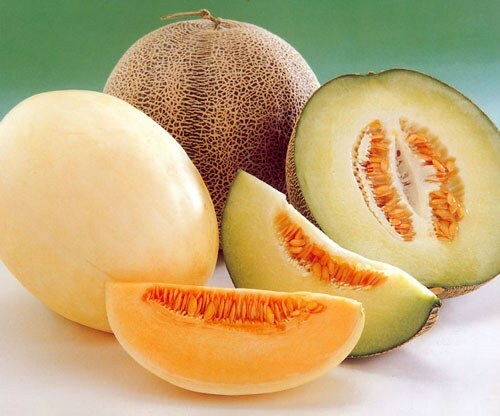 To melons include watermelon, melon and pumpkin. This is one of the most useful plants: their fruits are rich in vitamins, microelements, organic acids and sugars. They have excellent taste. It is known that the yield of crops depends not only on the weather and level of farming, but also on how well the chosen landing site, what crops are growing in the neighborhood. To the melon is also true in full measure. Watermelon and cantaloupe are heat – loving plants high and stable yields can be obtained only in the southern regions of Russia. Though some gardeners successfully grow these crops even in the North of black earth. Pumpkin is more cold-hardy and can be grown in most parts of Russia. Next to the watermelons, melons and even pumpkins from the South, East or West side should not grow trees or shrubs. The fact that these crops are very light, they react badly even in moderate shade. Choose for them an open, well-lit area (not in the valley). Note that melons are very spreading, that is, the growth of their runners capture all around. So close to him should not be planted low-growing culture that has a long ripening period. But such greens as spinach, lettuce, dill (early maturing varieties) have at the time. By the time when the scourge of melons will grow, you will have time to harvest. In addition, they are good neighbors for melons. Parsley is the same plant should not be, because she herself is suffering from the neighborhood melons, and adversely affects them. Near the border bocenago plot it is desirable to plant black radishes. Phytoncides, emitted by it, discourage spider mite pest of many crops. Some experienced gardeners suggest also to plant tomatoes, claiming that they deter such pests as aphids, moth and sawflies. To protect melons from cooling along the Northern boundary of the plot occupied by these crops, plant corn. Tight range it shoots reliably block the flow of cold air along the ground. If you for some reason can't or don't want to plant corn, plant beans, kidney beans or peas. Of course, they can't form such dense wall as corn, but some protection from the cold will. Moreover, legumes are considered a good neighbors for melons. Great harvest is not only implemented on time planting well-chosen plants and seeds. It often happens that fortune favors the gardeners who managed to find the right combination of plants that will reward its owner with decent yield, high quality and excellent taste characteristics. It is no secret that the so-called mixed planting was practiced since ancient times by different peoples. The division of plants was as follows: main plant and plant-satellites, the main role of which was to ensure a favourable environment for the growth of first, protecting the soil from drying out and reproduction of weeds and harmful insects. 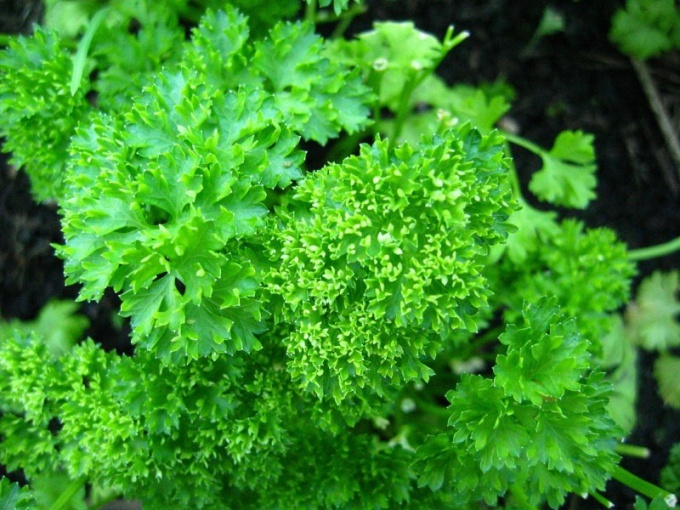 This plant is notorious to all the beautiful parsley. Thanks to her, you can provide almost year-round harvest, protect the soil from such an undesirable one-sided depletion and maximize the impact of various horticultural crops on the taste of each other. For example, joint planting strawberries, spinach and watercress, the edges surrounded by a frame of parsley, provide growers consistent sprouts and fresh greens throughout the summer season. Parsley is not only beautiful but also very useful. This is the only spicy grass, which does not lose properties during the heat treatment, the secret is in the special persistent volatile, which have a pronounced antiseptic properties. The combination of raised beds of onions, with the addition of radish seeds between planting carrots and the same of parsley provides an opportunity not only to collect a great harvest the first two crops, but leads to optimal development of the roots of the latter in the future. If the spring on the foot bed properly distribute the crops of green so that one of the lines was Central, and the other is located close to the edge, in may, between the orderly rows of beds made ahead of time you can plant broccoli. Gradual razresevanje greens as regrowth allows for additional planting iceberg lettuce. Parsley is famous for its abundance of vitamins, acids and minerals like potassium, magnesium, iron, and enzyme substances. It also contains inulin, which optimizes the content and exchange of glucose in the blood. The rule is to sow parsley after the harvest of tomatoes and potatoes. Collecting and using herbs, in the same place, spread onions, beans or tomatoes, this will avoid unnecessary exhaustion of the soil and to follow a scientifically sound principle of rotation. Parsley also contributes to the improvement of vineyards. Planted between the rows of strawberry, she repels slugs, ants, aphids, detrimental impact on the rose, goes well with onions, carrots, beets, asparagus, strawberries, however, constitutes a bad neighborhood with cucumbers. Gardeners are constantly experimenting to get a great harvest. Special attention should be paid to the issues of neighborhoods of various crops. Otherwise the plants can interfere with each other perfectly to bear fruit. Before planting it is worth considering what crops will coexist, and which is to seat away from each other. Planning is very important if the area is small, and wants to plant a lot. As a rule, Central place in the garden belongs to potatoes and cucumbers. With potatoes all clear, is chosen for her private area. Meanwhile, the cucumbers more capricious culture. They need to fertilize, and neighbors to pick them harder. Especially if they are planted outdoors and not in greenhouses. 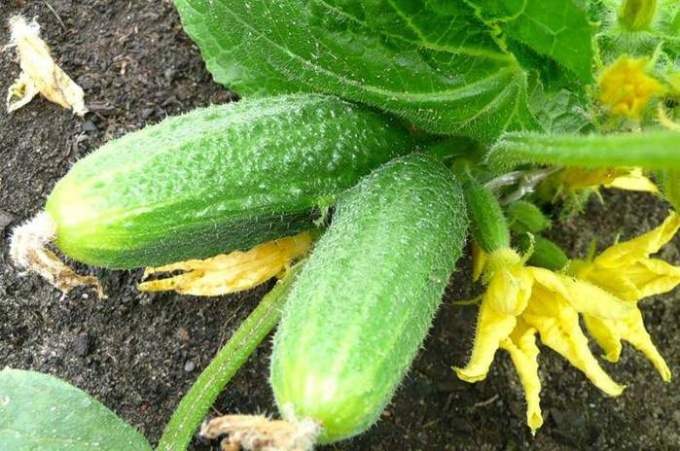 Cucumbers require a soil application of organic fertilizers in abundant quantities. So the neighbors they need to choose on the basis of this principle. Professional gardeners have long known the secret of the neighborhood corn and cucumbers. This neighborhood is so beneficial that the yield of cucumber increased by 20%. Due to the high shoots of corn in the garden creates an optimum microclimate. To cucumbers reach the required amount of light and shadow. In addition, the tendrils of cucumbers can be fixed to the trunks of corn. Another high neighbor of cucumbers can serve as a sunflower. The increase in yield for such joint fit securely. As in the case of maize, sunflower will help in the right direction to send shoots of cucumbers. To provide additional recharge of the soil for cucumbers, can be planted along the beds legumes. They saturate the ground with nitrogen which is so necessary for the great harvest. It's a great combination of cultures, especially that of beans or peas is usually a pity to allocate a separate plot in the garden. For increasing the yield of cucumbers can be planted next to them calendula. Flowers attract insects that pollinate at the same time and cucumbers. Moreover, calendula is very useful, so it will definitely be useful. The combination of cucumbers and tomatoes in the same bed is extremely adversely affect the harvest of both crops. Especially it will be noticeable in the greenhouse. The fact that these vegetable crops different temperature and humidity conditions. Also fertilizer for plants is very different. Outdoors cucumbers are not planted with potatoes. The reasons for this adverse neighborhood already described above. Keep in mind that with proper planning, planting work, you can achieve excellent results.